This is a success story of how attending the Big Seminar helped Ultimate Destiny transform a single $27 product idea into a comprehensive multi-faceted marketing system, and an invitation to attend the Big Seminar in Atlanta, GA on October 3, 4 and 5, 2008. The 3-day workshop features training from Armand Morin and some of the other top Internet marketers in the world. To celebrate their "Big Seminar Quantum Leap", Ultimate Destiny is providing bonuses valued at well over a thousand dollars, including the Ultimate Destiny Success System and a one-year membership in Ultimate Destiny University. We encourage anyone who has any interest in Internet marketing to accept this invitation to attend the Big Seminar, harness these Ultimate Internet Marketing Resources and receive bonuses worth thousands of dollars. You'll be glad you did! The Olympics surely is the ultimate global arena for athletes to "compete" and earn Gold, Silver and Bronze Medals for their accomplishments. The Big Seminar is the ultimate global community where individuals from all over the world "cooperate" and support each other in tapping the power of the Internet to realize their dreams, make a positive difference in the world, and fulfill their ultimate destinies. The next "Ultimate" Big Seminar will be held October 3, 4 and 5, 2008 in Atlanta, GA.
Charles Betterton, CEO of Ultimate Destiny University said, "The help and expertise we obtained at the Big Seminar enabled us to evolve our initial product from a single $27 e-book into a comprehensive marketing system with product prices up to $10,000." To celebrate the launch of their new development training program, created primarily with information obtained through the Big Seminar, Ultimate Destiny University is giving away copies of their new $97 Ultimate Destiny Success System. In addition, the organization is providing over a thousand dollars worth of valuable bonuses for anyone who registers to attend the October Big Seminar in Atlanta, GA at ultimatebigseminar.com. Before attending Big Seminar, Ultimate Destiny was planning to sell its stand-alone 97 page product for $27 to $47 as an individual e-book. As a result of attending the Big Seminar, participating in Armand's Mentoring Program, and the contacts and resources received at the Big Seminar, Ultimate Destiny has evolved the single workbook into a 14part Ultimate Destiny Success System with over 1,000 pages of interactive, life-changing content. In addition to selling products and providing membership services, Ultimate Destiny will certify and license facilitators to conduct training based on the contents for fees of $5,000 to $10,000. "Attending Armand Morin's Big Seminar has been one of the best investments I have ever made," said Charles Betterton. The three days of the Big Seminar are filled with powerful presentations from Armand, and some of the other top Internet marketers on the planet. As a result of attending, the Ultimate Destiny team has benefited from presentations from: David Riklan on How to Publish and Market E-books; Mike Stewart on everything you need to know about audio and video on the Internet; Jim Edwards and Mike Stewart on how to tap the power of webinars; Matt Bacak; Stephen Pierce; Stu McLaren and Russell Brunson on How to Cash in on Affiliate programs, David Hancock on the secrets of successful book publishing, T. Harv Eker on Secrets of the Millionaire Mind; and dozens of other high impact and action-packed presentations. "We have a deep heartfelt appreciation for all the help and encouragement we have received and the partnerships and cooperative marketing opportunities that the Big Seminar has provided," said Ultimate Destiny CEO Charles Betterton. 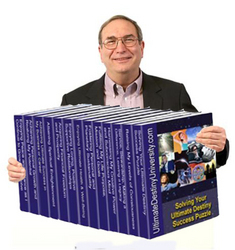 "In return, we are happy to share free copies of our Ultimate Destiny Success System with anyone who invests a few minutes to learn more about the Big Seminar and take advantage of our free Ultimate Destiny University Newsletter," added Betterton. "The Ultimate Destiny Success System covers every facet of realizing your potential, fulfilling your life purpose and manifesting your ultimate destiny. Each program includes quizzes, self- assessments, goal setting and application exercises, featured resources, and free bonuses." 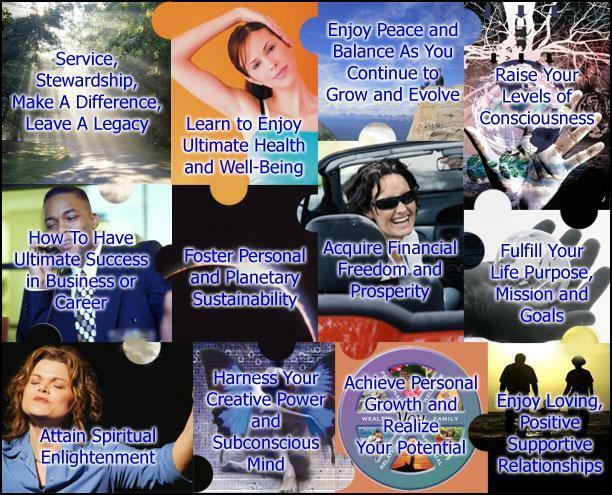 The main areas covered in the Ultimate Destiny Success System include: Realizing Your Ultimate Potential; Fulfilling Your Life Purpose; Enjoying Positive Loving Relationships; Attaining Financial Freedom and Prosperity; Enjoying Ultimate Health and Fitness; Achieving Ultimate Success in Business and Career; Raising Your Consciousness; Enjoying Peace and Balance; Harnessing Creative Mind Power; Attaining Spiritual Enlightenment; Fostering Personal and Planetary Sustainability; and Making A Difference and Leaving A Legacy. 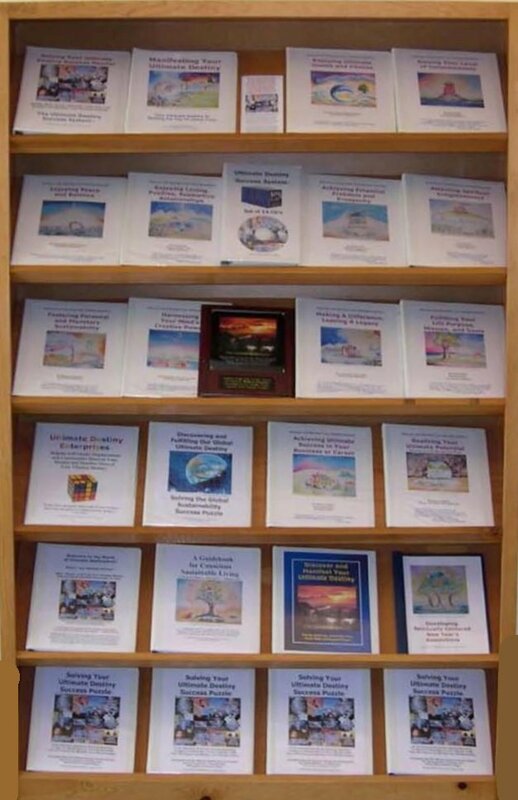 As a result of attending Rick Frishman's Author 101 University and Mark Victor Hansen's Mega Book Publishing University, Ultimate Destiny will soon have all 14 of its programs available as printed books, as well as e-books and CDs. "Whatever ultimate destiny means to you, the Ultimate Destiny Success System will help you discover your dreams, realize more of your potential and manifest more of your ultimate destiny and because Armand has helped us enjoy quantum leaps, we decided to schedule our official launch at the Big Seminar and give back any way we can," said Betterton. (1) Subscribe to the free Ultimate Destiny University e-zine (Subscribers can cancel at any time if they aren't interested in the free resources and membership benefits). (2) Take a tour of the Web site at ultimatetbigseminar.com. (3) Send an email to ceo @ ultimatedestinyenterprises.com to let them know if you will be able to attend the Ultimate Big Seminar, and request the free copy of the Ultimate Destiny Success System. Anyone who decides to take advantage of the invitation to attend the Big Seminar and registers at http://www.ultimatebigseminar.com will receive additional gifts, including the $497 multi-media "home-study" edition of the Ultimate Destiny Success System when it is completed, a one year membership in Ultimate Destiny University valued at $197, and over $1,000 worth of other bonuses. "We encourage anyone who has any interest in Internet marketing to accept this invitation to attend the Big Seminar, harness these Ultimate Internet Marketing Resources and receive bonuses worth thousands of dollars. You'll be glad you did!" Betterton said. For more information on Ultimate Destiny University or the Ultimate Destiny Success System, contact Charles Betterton at ceo @ ultimatedestinyenterprises.com or call 760-212-9931.